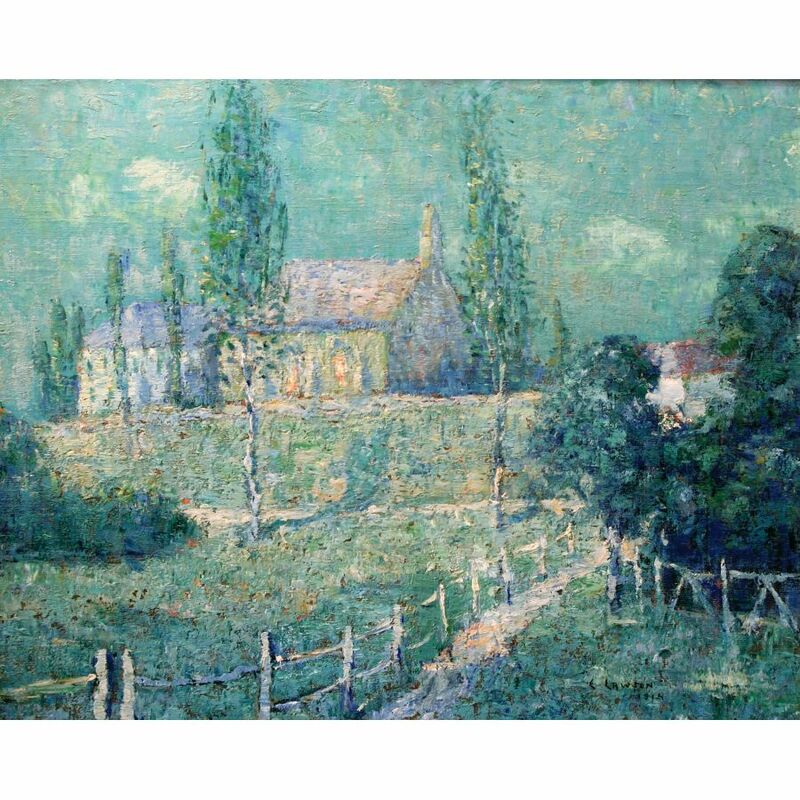 Ernest Lawson was born in 1873 in Halifax, Nova Scotia. He moved to Kansas City, Missouri where his father practiced medicine. He enrolled in classes at the Kansas City Art League School, but without sufficient money for art studies, he accompanied his father the following year to Mexico City where he found work as a draughtsman for an engineering company. 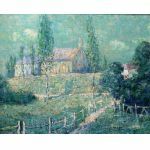 By 1890, Lawson moved to New York City and commenced studies at the Art Students League with J. Alden Weir and John H. Twachtman, who had an immense impact on the young artist's work. He later worked in Paris where, like some of The Eight, he learned from the French Impressionists. Devoted to landscape painting, Lawson moved to Washington Heights in Manhattan in 1898 where no buildings obstructed the view of the Hudson River, which he loved to depict. He painted his most important canvases during his eight years in Washington Heights. Lawson was convinced that freedom of expression was necessary if art were to survive in America. The strength of his conviction led him to become one of the Eight and to give active support to the famous New York Armory Show of 1913. This exhibition introduced many Americans to the advanced trends in European and American painting, and it received wide and critical attention. The date has become historic in the annals of twentieth century art.